Public art is an integral and valued part of the city’s character. There is a rich heritage of commemorative sculpture and monuments in addition to the growing collection of contemporary works of art spread through the city streets, within buildings and the parklands. Produced by the South Australian Government through Arts SA in partnership with the Adelaide City Council. 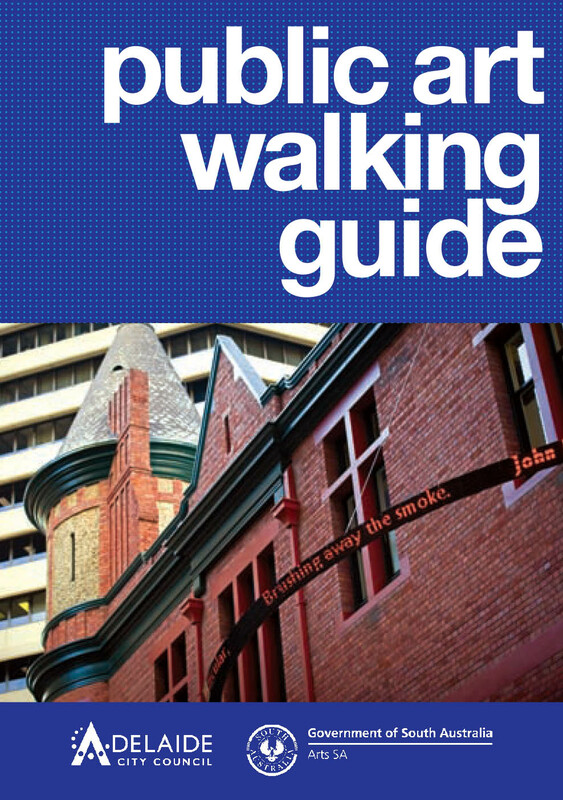 It provides a practical walking map that highlights significant historical and contemporary artworks in the central business district of Adelaide. 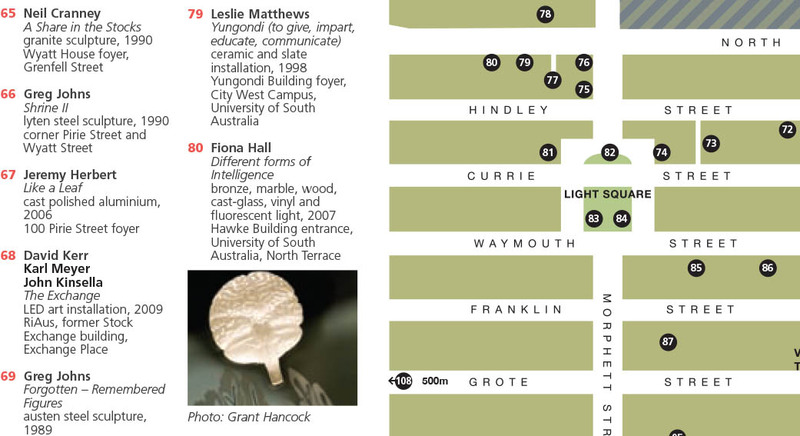 The map does not show a route, but sites of interest you can walk between.